With the starting gun of the 2015 Les Voiles de St. Barth due to be fired in little less than two months, the list of entries continues to flesh out. Already the presence of some extraordinary craft like Comanche and Rambler 88 have been announced, with the skippers of a wealth of 30 and 60 footers also confirming their participation in the event. As such, it promises to be a battle royal in the Spinnaker and Non-Spinnaker classes where the fleet is incredibly well matched and the suspense generally lasts right up to the final tack of the final race. And it's enough to delight the organizers who, for the second year running, have decided to offer the support of Les Voiles de St. Barth to the ICM, the French Brain and Spinal Cord Institute. For the 6th edition of Les Voiles de St. Barth, nearly half of the more than 1,000 sailors on 80 plus boats will race in the Spinnaker and Non-Spinnaker classes. 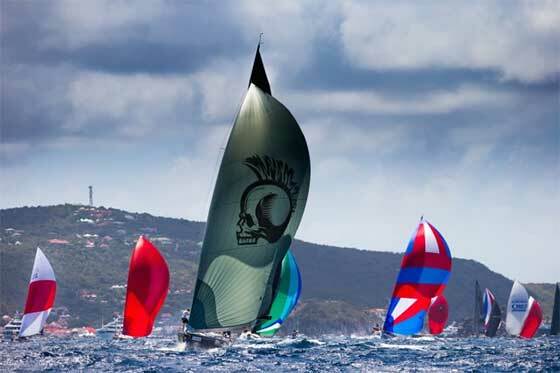 These classes group together racing monohulls designed specially for coastal or offshore racing and, as has been the case every year since the first edition back in 2010, offer a series of white-knuckle rides to their crews. The upshot is a spectacle that never ceases to amaze both sailors and spectators alike. "These are particularly competitive classes with a large number of boats, a fact demonstrated by the 2015 vintage, which already boasts nearly 50 entries," explained the event's Head of Crew Relations Annelisa Gee. "For sure the skippers are often less renowned than those of the Maxi or Mini Maxi classes, but these fleets are of a high standard and very well matched." In this way, a hotly-contested battle is assured among the numerous Swans : Christian Reynolds' Northern Child (UK), Jim Madden's Stark Raving Mad VII (USA), James Blakemore's Music (South Africa), Joseph Mele's Triple Lindy (USA) and also Patrick Demarchelier's Puffy (SBH). The same is true with the VO 60s, Linas Ivanauskas' Ambersail(Lithuania), Alfred Paulsen's Shaka (Germany), Johannes Schwartz's Cuba Libre (Austria), as well as Derek Hatfield's Spirit of Adventure (Canada), which competed in the Vendée Globe 2008. And it's a similar story with the TP52s: Peter Harrison's Sorcha (UK), Jim Swartz's Vesper (USA) and Conviction-Team Vag helmed by Clint Brooks (Barbados). Competition among the 40 footers won't be lacking either, with a number of Class 40s and First 40s in the ranks. Among those to watch are Steve and Heidi Benjamin's Spookie (USA), Leo Van Den Thillart's Kernan 47 True, skippered by Jono Swain, and William Coates' Ker 43 Otra Vez. Two of them have already made a name for themselves in the previous edition of Les Voiles, and all of them have taken the competition by storm in various prestigious events. 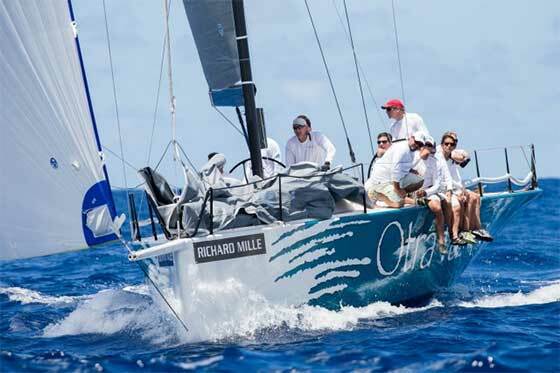 Spookie notably won the IRC Division in the Fort Lauderdale to Key West Race in January, while the all-carbon Otra Vez, built by Salthouse Boatbuilders in New Zealand, won the New York Yacht Club Annual Regatta back in June 2014 and the famous Quantum Key West Race Week in 2015. "Since the boat's launch in 2011, we've racked up a series of fine successes," explained Coates, a Texan currently living in Paris. "We race on the East Coast of the United States and in the Caribbean. Over time we've fully optimized Otra Vez for the IRC races. I got into competition late in the day, but I've always been fascinated by yacht races. From a very early age, I read stacks of articles on the Fastnet Race and the America's Cup... Today, I'm extremely happy to have the chance to compete in such fine races as Les Voiles de St. Barth, alongside fabulous yachts like Rambler, Comanche and the TP52s." Coates said he loves St. Barth, and Les Voiles is the only race he and his family never miss on any account. "The welcome is fantastic and the organization is first-class. The same is true of the weather conditions and the competition. A number of the world's best 40 and 60 footers are generally on the start line, and I already know that this sixth edition will be tremendous." 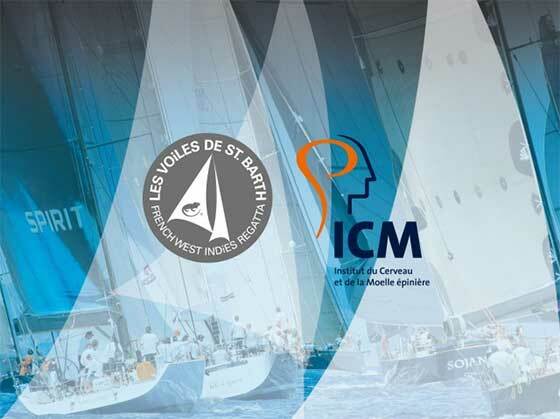 Starting with last year's fifth edition, Les Voiles de St. Barth has offered its support to the Paris-based non-profit ICM - Brain & Spine Institute by organizing a tribute during the event and a gala fund-raising evening. Almost 70,000 euros has been raised by the regatta to help fund ICM's research to find treatments to stem the evolution of and heal neuro-degenerative diseases such as Alzheimer's, Parkinson's and ALS (Lou Gehrig's disease), as well as help victims of traumatic spinal cord injuries recover adequate motor function. "One out of every eight people is directly affected by these ailments," said Les Voiles Director François Tolède, "and ICM is the leading international center to fight against these diseases that are disabling and affect so many families around the world. We are all very fortunate to sail in a place like St. Barth and at an event so wonderful as Les Voiles de St. Barth, so this is why the sailors support our efforts to help ICM. I know I speak for all competitors when I say this is a worthy way of giving back and being thankful for what we have."